#WayBackWednesday - Grand Canyon North Rim! This week, the Grand Canyon North Rim opens for visitors. It's a special place, and it's only open until early October. I visited in October of 2011, and it was magic. The aspens were yellow, the sun was bright, and the crowds were minimal. This was my first time seeing the Grand Canyon, and it set a pretty high standard for the South Rim. 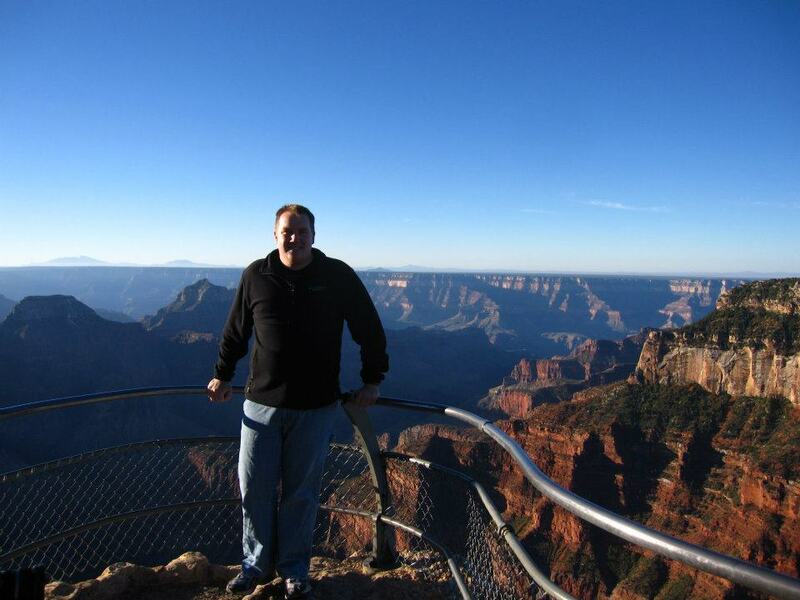 I finally visited the South Rim in 2013, and I must say the North Rim is my favorite but they're both spectacular. Can't wait to make a trip back to the North Rim, but until then I'll just enjoy the memories through these photos. I hope you you can find the time and resources in your life to visit this special place - it'll take your breath away in person. Enjoy the photos and have a great hump day. We arrived in the evening, here's the moon over the Grand Canyon. October 2011 - Yellow aspens, snow on the ground.... almost closing time for the North Rim. For years, I'd stay up all night and sleep through the sunrises not waking until the sun was at a high noon. It wasn't until back in college when we started doing road trips through the night that I started to appreciate the sunrise. I've always had trouble sleeping, so staying up all night was never a problem; I always went to bed as the moon began to set. Driving all night - be it around Lake Michigan for no reason at all, from Michigan to Seattle (a few nights), or anywhere else we went - allowed me to be awake for the sunrise. 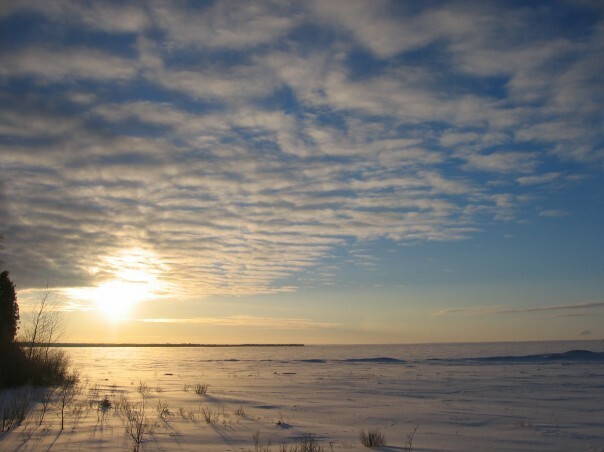 I can remember back to sometime my sophomore year of college, or so, that we did a winter road trip circumnavigating Lake Michigan. We left Grand Rapids, MI and headed south towards Chicago and up through Milwaukee. The best part, on each occasion this trip happened, was Michigan's Upper Peninsula. Up there, I remember seeing the best sunrises. We did the trip three different years, but the first trip was when I realized I'd forever be a sunrise guy. 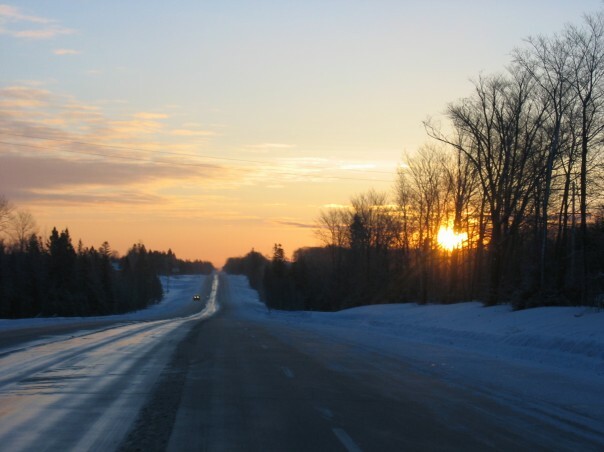 Below are three photos of the frigid winter sunrise from Michigan's Upper Peninsula from the early 2000s. 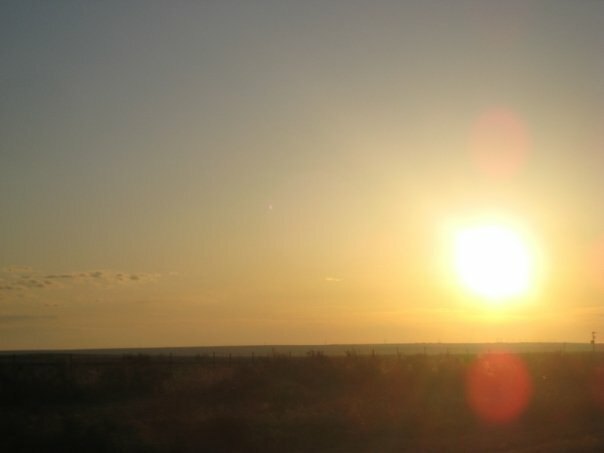 In 2007 my buddies and I started doing these spring break road trips that allowed us to see as much as possible in the least amount of time. Between the three of us, no one had crossed the Mississippi as an adult nor had we experienced the Rocky Mountains (or any mountains) in person. 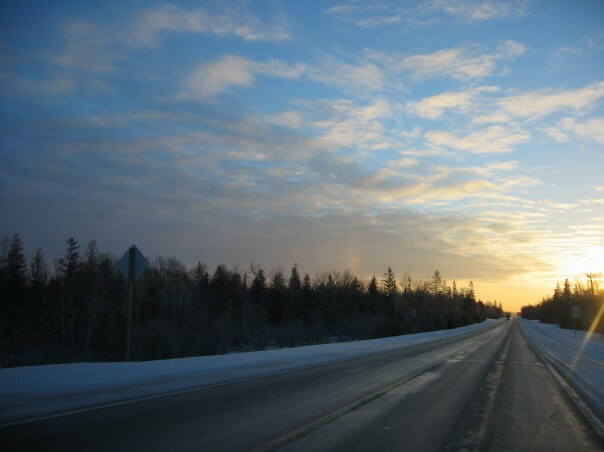 This road trip involved many stops but I can still remember that moment when the sun would barely peek over the horizon. That sliver of a sunrise signaled a new day and regenerated me every time. I tried to find some photos from the various road trips, but most are blurry or through a dirty windshield. Take a road trip, drive through the night, and let me know how that first sliver of light makes you feel. As the years went by, road trip sunrises quickly became one of my favorite things. If you catch a desert sunrise, road trip or not, it's probably going to be one of the best things you see. 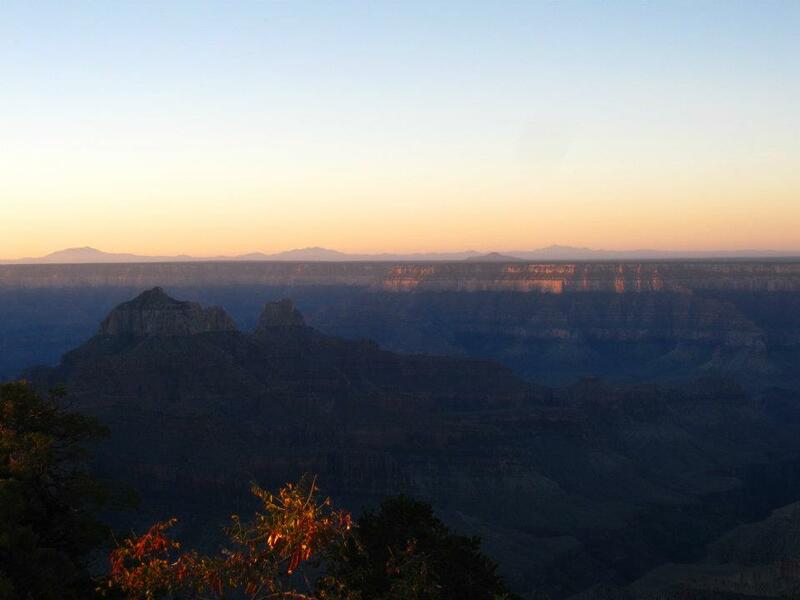 Another favorite sunrise of mine was in 2011 at the Grand Canyon North Rim in October, right before they closed for the season. This was not only my first Grand Canyon sunrise, it was my first time seeing the Grand Canyon in person. What a way to be introduced to the place - as it wakes up. On my most recent trip, to Minnesota, I woke up just in time to see the sun rising over Lake Superior. Everyone was asleep, even the dog, so I quickly got dressed and crept outside to watch the sun come up. I walked from the house, through the pines, and ended on the beach. I could hear the ice moving, see the fog over the city behind me, and see a couple of dogs being walked down the way. It was an amazing moment in time, to stop and take it all in. Sunrises may be my favorite, but don't think I wont whip out a camera or phone to capture the sunset just as often. Every beginning has an end and both are beautiful.